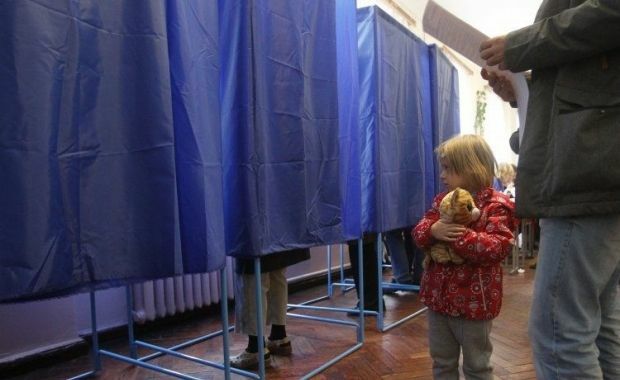 Local elections were held with some violations, but they created certain prospects for Ukraine. Militants adopted the tactics of blackmail in negotiations with the Ukrainian representatives. The attempts to challenge the law on lustration in Constitutional Court by politicians from the Opposition Bloc saw an emotional response from its authors. On the last Sunday of October, the Ukrainians elected their local authorities. I must say that the elections were far from perfect, but still not as bad as stated by some political forces. Low turnout is largely due to politicians offering a campaigning agenda of parliamentary level rather than concrete proposals for solving municipal problems. Besides, few voters really understood the peculiarities of this complicated electoral process. Speculations of cumulative rating of parties at the national level contain an element of manipulation. We can rather speak about certain trends. Let's start with the Coalition. Pro-Presidential BPP-Solidarity has confirmed the reputation of the party in power, showing presence in most regional and city councils. Party leader Vitaly Klitschko easily passed to the second round of mayoral elections in the country’s capital, where he objectively has high chances of winning. Samopomich strengthened its presence in local councils, but one round wasn’t enough for Andriy Sadoviy to win a mayoral seat. There will be more “hearts” [a red heart is a logo of Batkivshchina] in local councils, but it’s still hardly enough for Yulia Tymoshenko to launch an offensive against the government this fall. The Popular Front hasn’t taken part in local elections, which shows that Arseniy Yatsenyuk has the instinct of self-preservation. Meanwhile, he is trying to portray righteous anger against officials from the State Fiscal Service, who are long overdue to be lustrated. The fact that Oleh Lyashko’s Radical Party had quit Coalition in Rada and organized the so-called Tariff Maidan outside the Cabinet’s building did not really help this political force to win over the voters’ support. Svoboda successfully converted its current status of "victims of the regime" (following suspicion of complicity of Svoboda officials in organizing riots outside Rada on August 31) into real votes. UKROP will try to prove on November 15 that one of its leaders, Boris Filatov, is worth being a mayor of Dnipropetrovsk. Oleksandr Vilkul from the Opposition Bloc will be his competitor in the second round of elections; but it’s not the only success of representatives of yesterday's pro-Yanukovych Party of Regions. However, it’s too early to say that they will be able to create a majority in one of the regional legislatures. 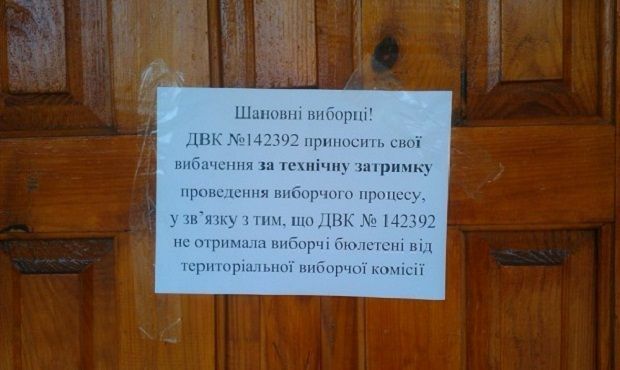 Disruption of the vote in Mariupol, Svatove and Chervonoarmiysk is not only related to the imperfection of the law. It is worth noting that we are finally witnessing people in Donbas ready to challenge those who were earlier called "masters of the region," but this time failed to influence the electoral process. However, it is also obvious that the Kremlin will try to take maximum advantage out of the situation with Ukraine’s local elections in mentioned locations in Donetsk region. Russia’s puppets from the breakaway “DPR” and “LPR” are desperately trying to look important at the Minsk talks and dictate “their” terms to the Ukrainian side. The result is not too convincing, although Vladimir Putin personally, along with other Russian officials, supports his protégés at the highest political level, calling for the amnesty for the militants and also urging Kyiv to agree with the self-proclaimed leaders of puppet pseudo-republics the Ukrainian constitutional amendments, as well as other Russian officials. The topic of cleansing the ranks of Ukraine’s authorities saw an unexpected boost this week. The Constitutional Court began its consideration of the case on the constitutionality of the law on lustration, although the very process, as well as the composition of the Constitutional Court, seems absurd. 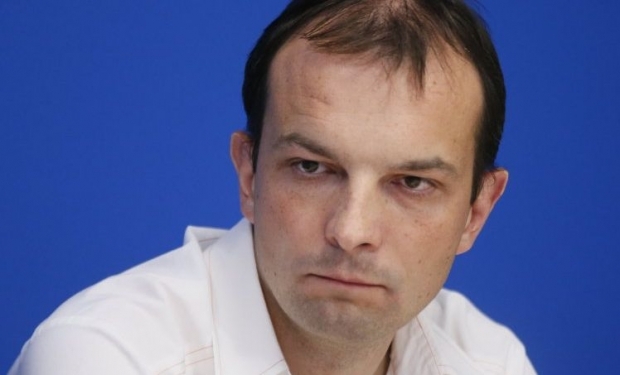 One of the law’s authors, Yehor Sobolev, lost his temper, pledging revolution if lustration is canceled. Perhaps fearing the negative vibe around the process, or due to some other reasons, the judges of the Constitutional Court suspended further consideration of the submission from the Opposition Bloc.